Okay, graphing activities don’t have to be boring! If you have some fun questions the data collection changes the perception entirely. 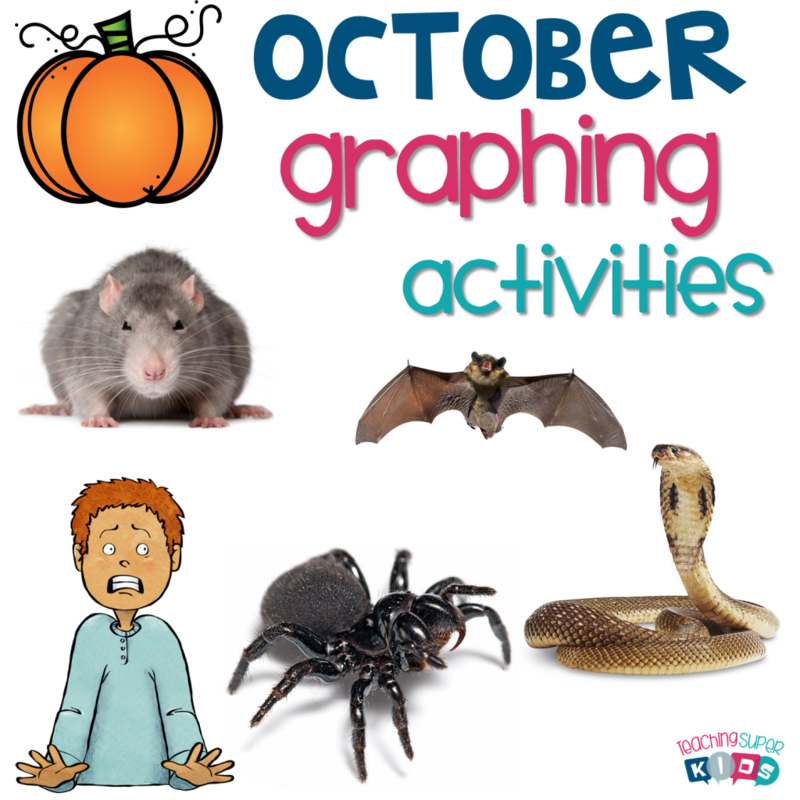 Introducing October Graphing Activities! This set of questions and subsequent worksheets will keep your kids complete engaged. They won’t even realize they are learning basic graphing concepts. Each set has 4 monthly themed questions that you can pose to the class. The first one is “What scares you the most”? There are 4 options for the students to choose from. The set comes with 2 different sized sets to choose from. One set you can set up using ribbon and have the students use a clothes pin clip to vote for their option. The other set has an option to print out editable tickets with your students names. All they need to do to cast their vote is add their ticket to the wall under their choice. I provided 5 different response sheets to gather and compare the data. Three of the sheets will pertain to your class the other 2 are basic scenarios that don’t involve the class data. • What scares you the most? • Which pumpkin would you pick? • Which costume do you like the best? • Which is your favorite candy?